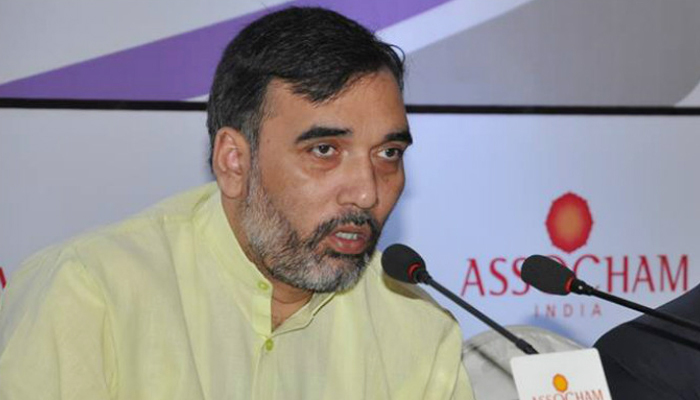 New Delhi, December 2: The Aam Aadmi Party (AAP) ‘s Delhi chief Gopal Rai on Sunday ruled out a pre-poll alliance with the Congress in Delhi for the 2019 Lok Sabha elections, asserting that the Arvind Kejriwal-led party is “single-handedly capable” of defeating “main rival”, the Bharatiya Janata Party (BJP), in all seven parliamentary seats in the national capital. The AAP has adopted a constituency-wise strategy to target the rural population to take on the BJP. “We are working on a constituency-specific strategy on all seven seats in Delhi in view of Lok Sabha elections next year,” Gopal Rai, AAP’s Delhi Chief. Rai, who also holds the portfolios of labour, employment and development in the Arvind Kejriwal government, said the Congress is not in the fight for the Lok Sabha polls. All AAP candidates lost elections in the 2014 Lok Sabha polls in the national capital. Talking about the party’s strategy for the northwest Delhi seat, Rai said the AAP failed to receive support in rural pockets in the last Lok Sabha polls, and now the party in-charge for the constituency, Gugan Singh, is focusing on these areas with extensive contact programmes. According to the strategy for east Delhi constituency having a mix of voters living in posh localities and unauthorised colonies, the party has adopted extensive outreach programmes to reach voters. Senior AAP leader Atishi has been made in-charge of the parliamentary seat. “The party will officially announce candidates on all the seven seats in Delhi, along with those in Haryana and Punjab, by January next year,” Rai was quoted as saying. In the 2015 Assembly polls, the AAP had got around 54.34 per cent vote share, winning 67 of the 70 seats. The BJP and Congress had 32.19 per cent and 9.65 per cent votes respectively. While the BJP had secured three seats, the Congress won none.